Every once in a while I am treated to having guests tour the course with me who have no prior knowledge of what I have been doing on the course and it allows me to share everything I have learned over the years. During these times I am reminded of all the crazy stuff that I am doing that I don't normally think of as most of them have become "normal" to me. I thought it might be good to do an overview post every now and then to catch everyone up on what that nut bar in Canada is up to. For those that have been following along, this year have been great. I have been practicing low impact (disturbance theory) management on my greens and have had great success in promoting bentgrass. I haven't required a broadcast traditional fungicide application since April 2nd and have been using regular phosphite applications and spot applications to keep the disease in check. I have been following all my theories and plans and feel that they continue to deliver the expected results. 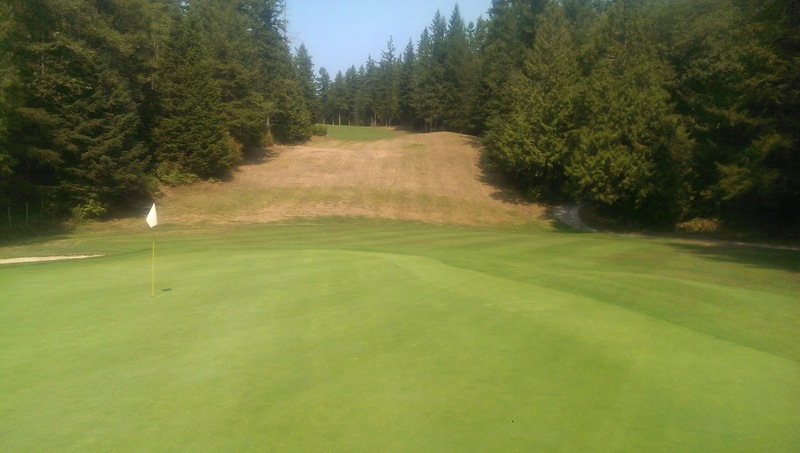 This year has been very difficult with the record breaking drought and heat but the greens and course in general have managed through it all with little issue. Things have been so good, in fact, that I can say that managing my greens has never been easier or more hands off. My "do nothing" approach is really proving to me that sometimes less is more. This is easier said than done as we are often too quick to react to any issues that arise. Basically we cut as little as possible, roll as much as possible, fertilizer little and often and water to keep our soils hydrated but not excessively wet or dry. We aren't chasing any extremes with regards to firmness or green speeds and this in turn has made it very easy and inexpensive to keep our greens in excellent condition. For those that don't know that much about what I have been trying to do let me try and explain as briefly as I can. The following is a summary of what I think are the most interesting things I am doing along with links to more detail on each subject. Everything that I am doing and trying has been inspired by others, so thank you everyone for the inspiration, it has been a lot of fun! Four years ago I started this blog. During this time we were facing the very real threat of a pesticide ban. Instead of focusing all our efforts on fighting the ban I thought it would be wise to work together to learn how to better manage turfgrass in case pesticides were banned. I looked to "organic" golf but was frustrated by their poor planning and failure. I decided to share what I was doing on this blog as a means to learn from the entire turfgrass community as a whole. 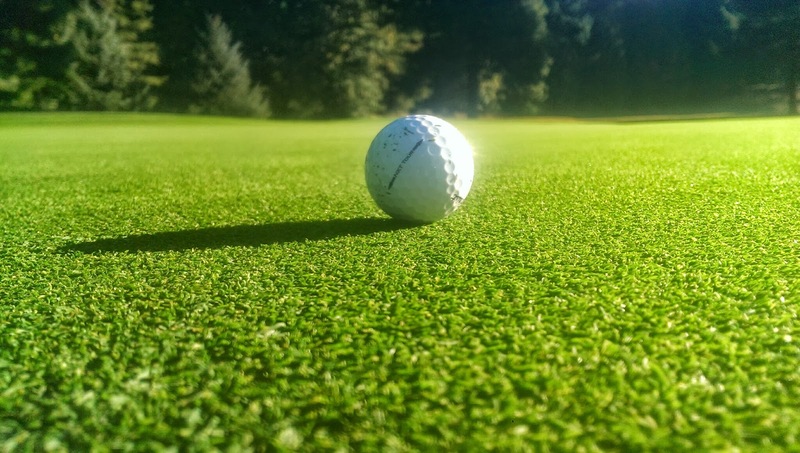 Aside from this blog, twitter has also been an incredibly useful tool for connecting and learning from other turfgrass professionals all over the world. I started out trying to be all scientific but found it more productive to just share my observations and theories and let the science come to me. Hell, I've even inspired some science! I published my first take on how I don't apply preventative pesticides so that I can see the disease, how and where it infects the plants, and try and observe patterns of this infection. 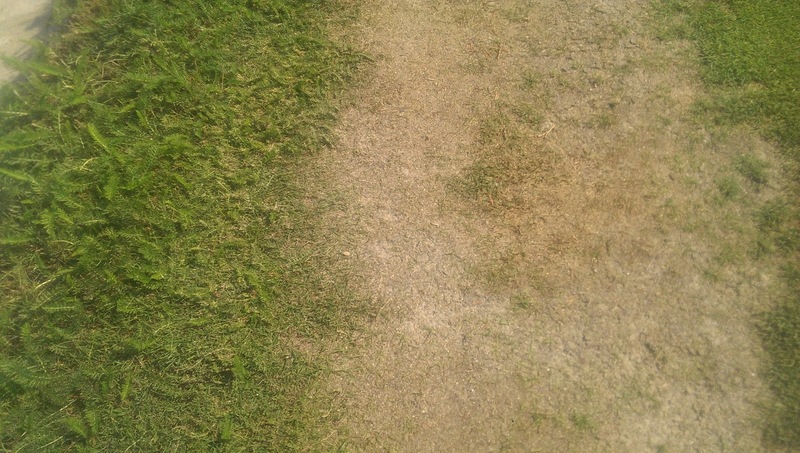 My feeling was that preventative applications were just covering up poorly managed turfgrass. I have found this completely true, speaking for myself at least. This resulted in a number of interesting observations on how rolling might help reduce fusarium and how disease is spread by mowers and how we can reduce that spread and theoretically the need to spray so much in the winter. I continue to spot spray minor disease outbreaks to hopefully help reduce the likelihood that they become a major outbreak that would require a broadcast pesticide applications. With no preventative sprays going out, I can also see new infection and often make minor changes to fertilizer, water or mowing to keep the disease in check. True IPM (integrated pest management). I used to have disease explosions where right about the time a fungicide would be wearing off, my greens would almost instantly be completely covered in disease. That no longer happens. 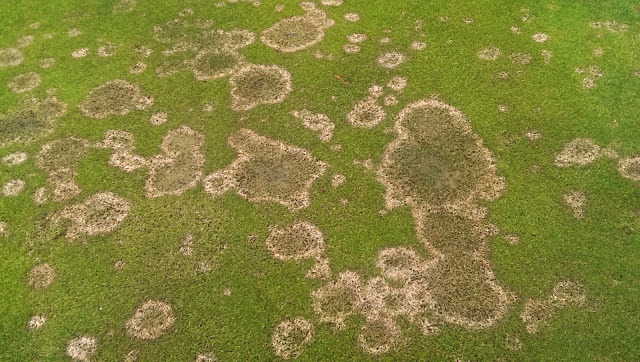 Disease comes on slow and I have a lot of time to watch, make adjustments and treat if it continues to get worse. 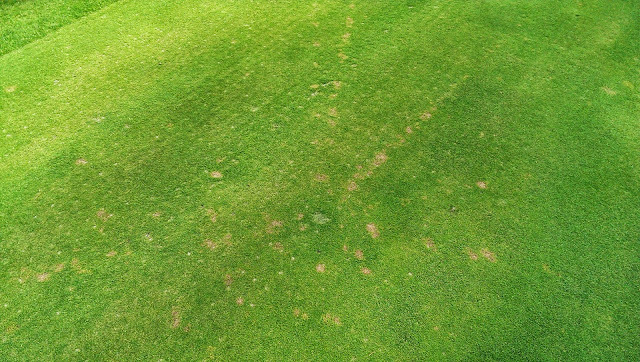 I was also able to notice cool things like this moss disease that normally is killed with preventative fungicide applications. Again, less is more. moss disease, this green now has no moss. I started setting goals for pesticide use based on cost and EIQ but have since put this on hold due the the fact that there have been some errors found with the way EIQ is calculated and the whole equation is flawed. That's just life on the bleeding edge I guess. Sometimes these new things aren't perfect and need to be refined. Even though this process is flawed, it has helped me make meaningful reductions and also learn a lot more about disease management. Either way, the best way to reduce pesticide impact is to simply not apply them. I made some huge changes to the way I fertilize the course and have drastically reduce the costs associated with fertilizing and have also increased the quality of the turf on the course. I base my fertilizer rates on the growth potential model and use solely soluble source fertilizers applied light and frequent. This allows me to make quick adjustments to turfgrass growth and react to what the disease is telling me! I have since adjusted my growth potential model numbers to cut the fertilizer on my greens in half as I had heard of others doing similar things without negative results. These low rates might even reduce the need for core aeration one day! 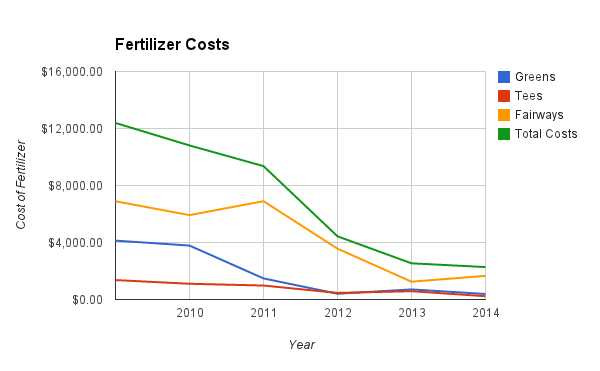 Fertilizer costs so little it's almost a joke and I'm not left wanting more. I have also started following the MLSN guidelines for fertilizer applications on my greens and tees. I have taken part in the Global Soil Survey for 3 years now and have been following the MLSN guidelines exclusively since they were first developed. After all those years of not fertilizing unless it was needed, the greens are better than ever and I no longer worry about locked up nutrients in the soil. It's not that difficult and I highly recommend you stop worrying about it and adopt these fertilizer guidelines now. All of these things have also lead me to change the way I manage weeds on the golf course. By simply changing your perspective and learning to accept some "weeds." I have also changed my perspective to how I approach weed problems and how they can be managed in a more sustainable way. I have not required a herbicide application on the course except to control highly invasive species such as Japanese Knotweed or Spotted Knapweed. This change in philosophy has helped me continue to manage the course without the need for herbicides but also continue to improve the turfgrass quality on all our playing surfaces. These changes combined with my fertilizer changes and low pH have also surprised me with the almost complete eradication of clover from my tees. I am still waiting for the pH to drop to a level that is unacceptable for clover on my fairways. This will take longer as the fairways are on native soil and not sand. I have started to work towards shifting the turfgrass populations on my greens to bentgrass and have had lots of success even though most say it can't be done in my climate. 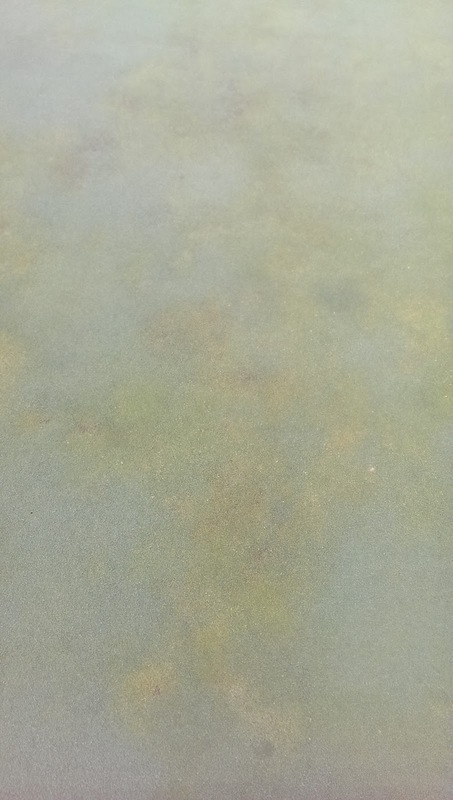 I am now at the point where I can let poa specific disease go untreated as the bentgrass fills in the voids as fast as the disease can kill the poa. The fact is that there are a TON of ways to kill poa naturally, and I am taking advantage of each and every one! The entire purpose of shifting to bentgrass is to reduce fertilizer needs, water needs, seed head issues, and the fact that a polystand is more stable with minimal resources and inputs. I don't expect to ever have a pure bentgrass stand but hope that the population of each turf species on my greens shifts back and forth as the conditions that favor each species change. I have also seeded in "weeds" like white yarrow to provide good playing conditions during tough growing conditions with less or no inputs. After a few years I am starting to see the real benefits of these efforts. I have also used technology to improve the efficiency of my operation. 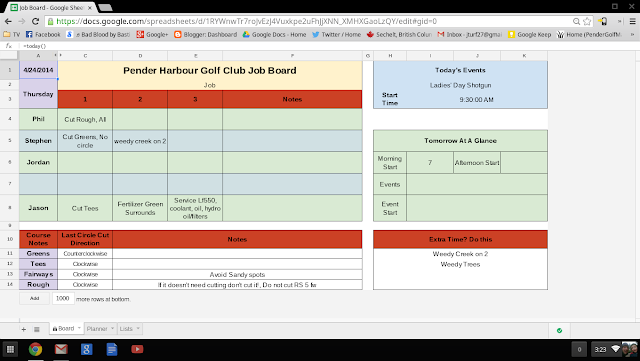 My digital job board has been a huge help as have all my digital record keeping methods. 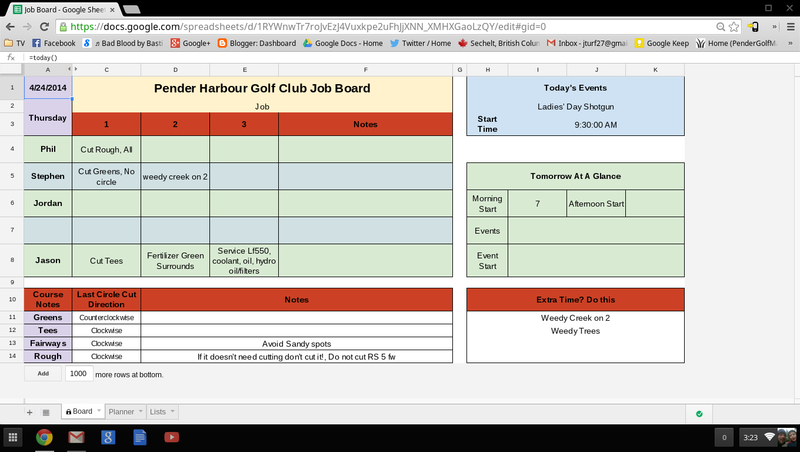 Up until this year I have been making a lot of big changes to the way I maintain my golf course. This year I have been able to sit back and really refine my strategy and have had great results so far. After 4 years I can finally say that everything I have changed feels normal and I can feel confident in saying that it is all working and coming together nicely. The course transition to these changes is not yet complete but is going in the right direction. This is just a brief summary of what I do and I hope that you can find the time to dig a bit deeper on this blog and share your thoughts. These interactions are how we can all learn and improve!